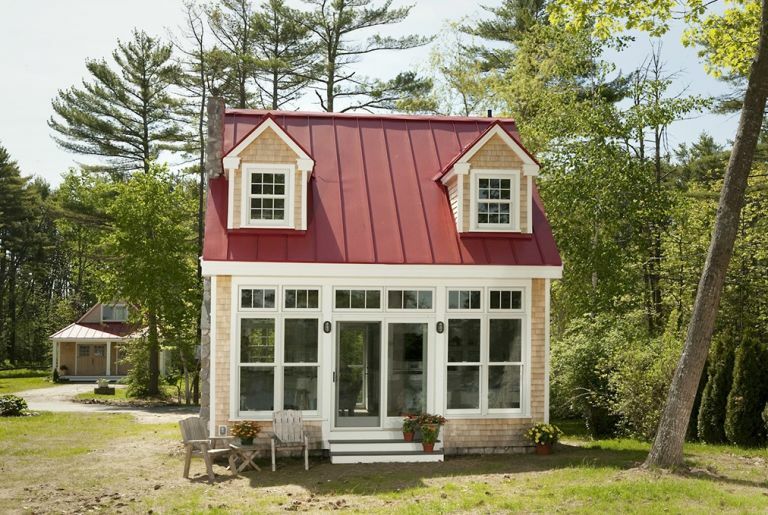 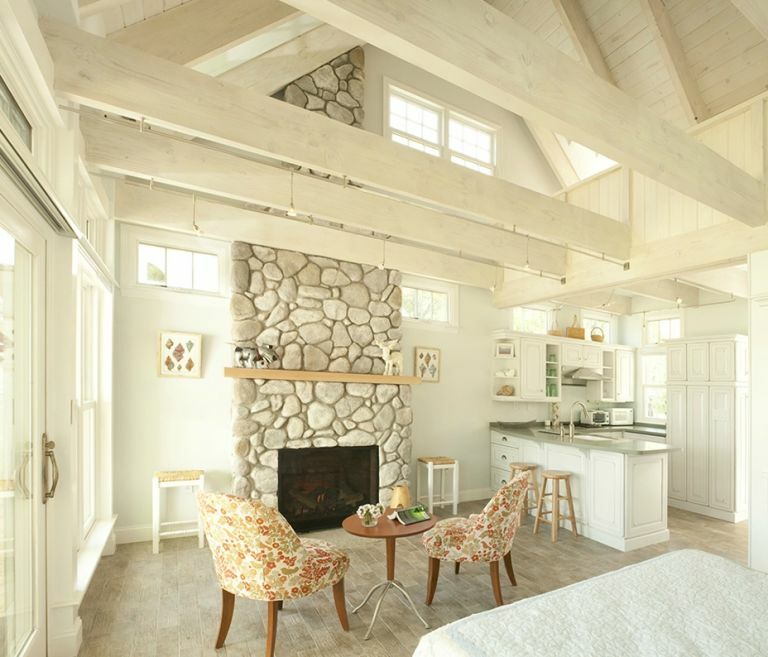 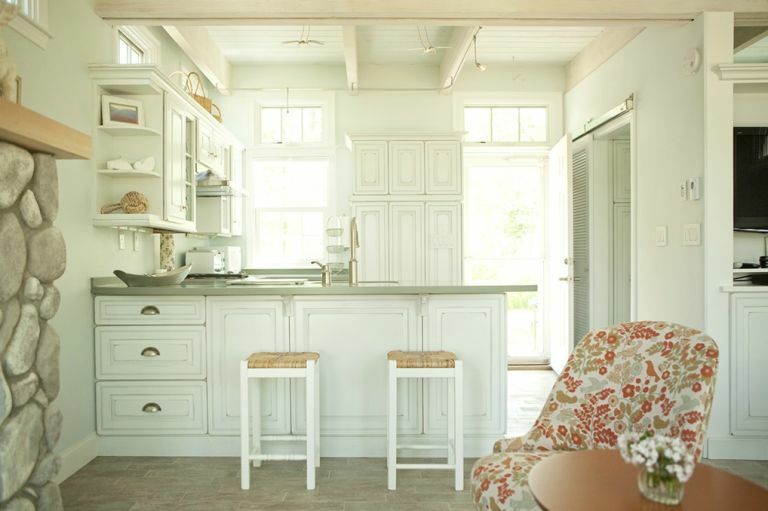 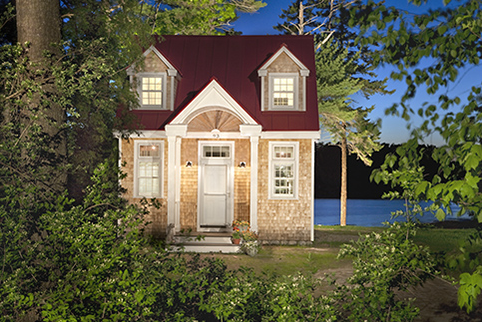 Any well-designed, open-concept can make any tiny home feel and look spacious, and this adorable cottage in Freeport, Maine is no exception. 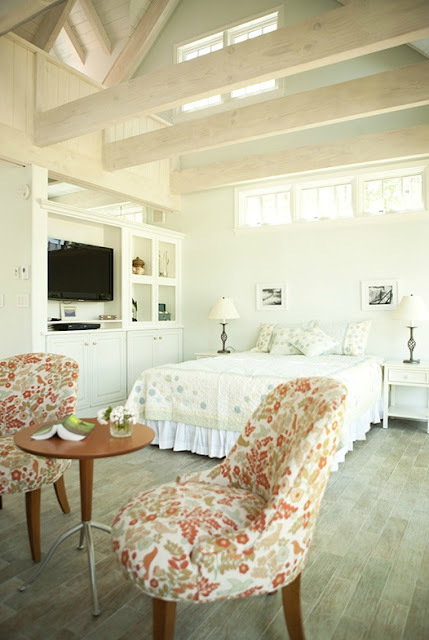 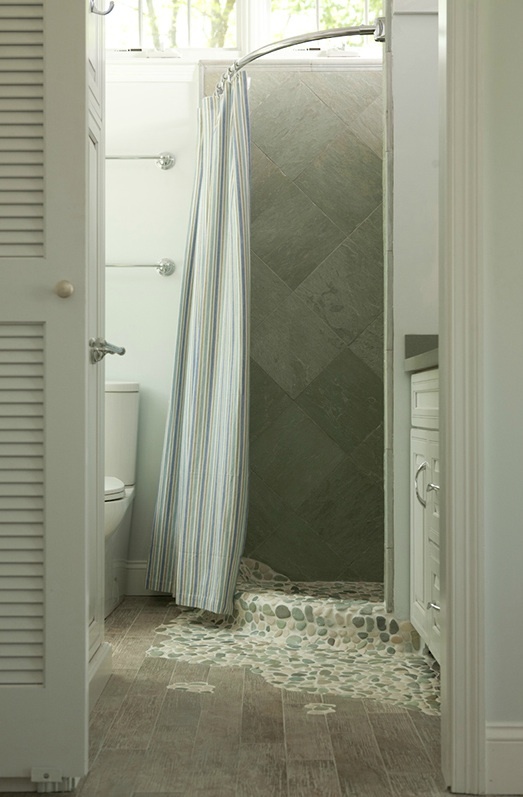 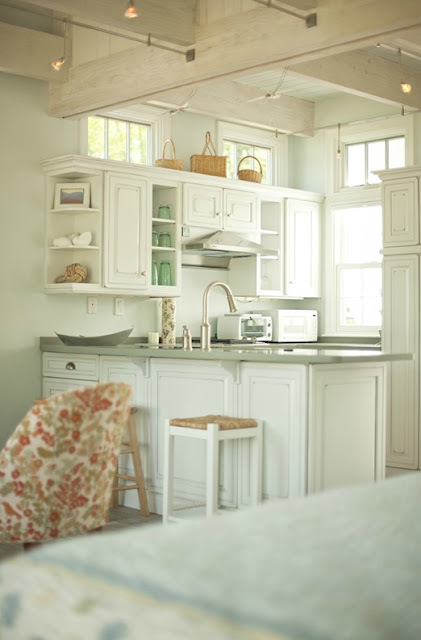 Designed by Mac Lloyd of Creative Cottages, LLC, this 411 sq ft one bedroom and one bathroom cottage is the perfect retreat. 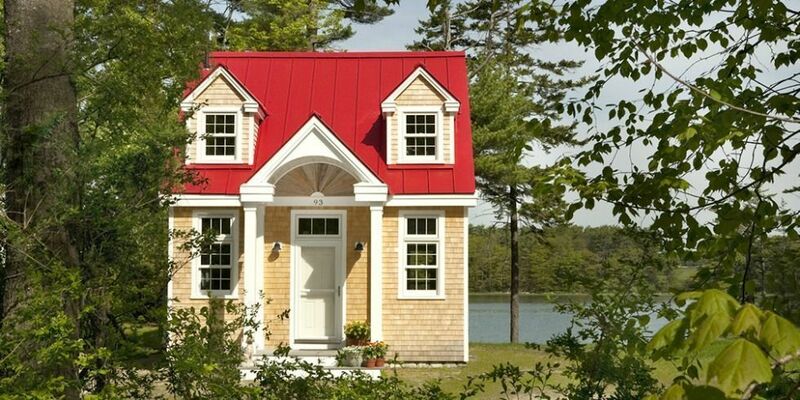 Surround by forests and an ocean view to boot, who wouldn't want to live here? The house features a full kitchen, laundry facilities, a gas fireplace, a living room, loft and gorgeous high ceilings. It's also made using locally sourced materials.